I've already written about the trend of giving Russian or Russian-sounding names to products and brands in my post Baboushka branding or a bit of "Russianness" in marketing. In that blog post, I talked about a seemingly persistent trend among US and European companies to take inspiration for product and brand names from the Russian language. Specifically, I talked about a concrete fascination by the word b a b o u s h k a. And here is another baboushka story for you! 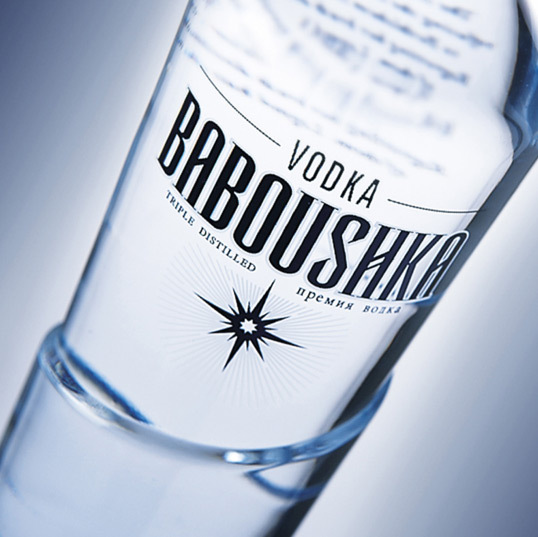 1) According to the article, the agency that redesigned the bottle, "built an emotional brand story around the existing ‘Baboushka’ name avoiding Russian vodka inspired clichés." I wonder how can such a truly Russian name allow one to avoid Russian cliches, and why would one even want to avoid them? Baboushka is just a common noun in Russian, there are no real stories attributed to it, at least in the context of its common use. To conclude, the use of "baboushka" in brand discourse never stops to surprise me. I think there's even some additional meaning that's been developing around this word outside of Russia, and some Russian-speaking linguists should definitely look into it. As far as brand strategy goes, my advice is to check the spelling and meaning of foreign words you put on your packaging. This will surely help you avoid some surprises! Newer PostFunky Brand Interviews are one year old!